Home / Disease / How To Treat Celiac Disease? Celiac disease or often called gluten-sensitive enteropathy, sprue or celiac is an autoimmune disease when individuals with certain genetic compositions experience damage to the small intestine if they consume gluten, and inhibit absorption of nutrients (malabsorption of nutrients). As a result, people with celiac disease will experience diarrhea, weakness, or anemia. If you have celiac disease then you eat foods containing gluten, it triggers an abnormal immune response. Gluten is a protein that we easily find in filling foods like bread, pasta, or even biscuits. 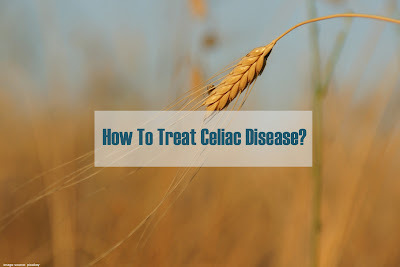 Celiac disease causes the body's immune system to attack the small intestine as well as the gluten that we consume so that the body will find it difficult to absorb the food content and also get the energy needed for daily activities. Gluten is also known as an ingredient for making bread dough or other foods to be elastic and chewy. In some cases, those who have celiac disease will have a higher risk of osteoporosis, iron deficiency anemia, and also lymphoma. What is quite dangerous is if celiac disease turns out to attack children. Children are also at risk of experiencing a disruption in growth and even the bones will be at risk of getting weakened and not developing properly and if left unchecked, of course, the risk can cause disability. The cause of the celiac disease itself is still a matter of debate in the medical world. It's just that, many health experts believe that celiac is caused by genetic factors where one lineage tends to have a high risk of developing celiac disease. Apart from children, adults can also experience this disease even though the ratio is still quite low. If someone has celiac disease, the first symptom that will be felt in the stomach that seems to be full of gas and feels bloated. In some cases, the weight will tend to decrease significantly and the body will easily feel tired and weak throughout the day. Children affected by celiac can also experience vomiting or even prolonged diarrhea. This disease is an autoimmune condition, in which the body misidentifies the compounds contained in gluten as a dangerous threat and instead forms antibodies to overcome them, thus attacking healthy body tissues. In the case of celiac, antibodies make the small intestine become inflamed and swollen. These antibody substances will make fine hairs (villi) on the intestinal surface become damaged so that the process of absorption of nutrients from food becomes imperfect. In most celiac sufferers there are also genetic disorders that can cause cell changes in the small intestine. Heredity factor. If you have family members who suffer from celiac disease, the risk of experiencing a similar disease is also greater. Health condition. Type 1 diabetes, ulcerative colitis, nervous disorders, Down syndrome, the syndrome can increase the risk of developing celiac disease. Symptoms of celiac disease can appear and then disappear, from mild to severe. Symptoms in mild cases are often not obvious. However, when mild symptoms are detected, the doctor will recommend treatment because permanent complications may occur. The most common symptom of celiac sufferers is diarrhea. It happens because of the digestive system's inability to absorb nutrients from food perfectly. The inability of the body to absorb these nutrients makes feces contain high fat. The stools released by people with celiac disease will smell unpleasant, oily and foamy. The first symptom experienced by many people before being diagnosed with the Celiac disease is diarrhea, which is watery or partially dense, often smells bad, and looks greasy or foamy. In one study, 79 percent of Celiac disease patients had diarrhea before getting treatment. After treatment, only 17 percent of patients still experience chronic diarrhea. Diarrhea is also the most common symptom in untreated Celiac disease. For many patients, diarrhea decreases within a few days of treatment. However, the average time to treat symptoms completely is four weeks. However, keep in mind that there are other possible causes of diarrhea, such as infections, other food intolerances, or other intestinal problems. Celiac disease can cause inflammation in the digestive tract, which makes flatulence and causes many other digestive problems. In fact, based on a study conducted on 1,032 adults with Celiac disease, 73 percent of people reported feeling bloated before being diagnosed. 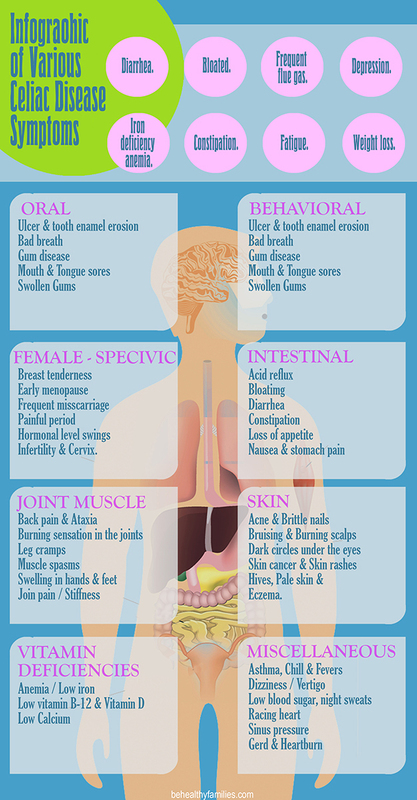 These symptoms usually stop after removing gluten from the food consumed. Gluten has also been proven to cause digestive problems such as flatulence for people who do not have Celiac disease. It was proven through a study conducted on 34 people who did not have Celiac disease but experienced flatulence. This symptom will improve by undergoing a gluten-free diet every day for six weeks. Frequent fissure (farting) is a digestive problem commonly experienced by people with untreated celiac disease. One study reported 9.4 percent of 96 adult Celiac disease patients experienced frequent gas flushing. For some people with the Celiac disease may not experience diarrhea, but they usually experience constipation. 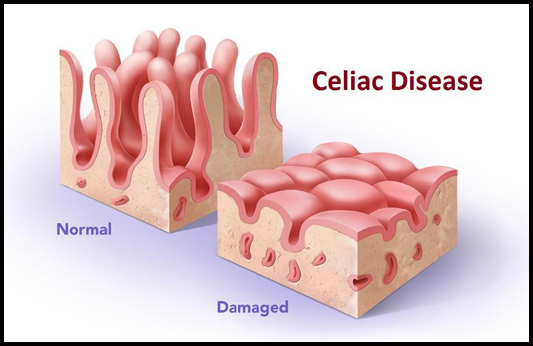 Celiac disease damages the intestine or intestinal villi (folds or grooves in the small intestine) which function to expand the absorption surface so that nutrients can be absorbed perfectly. When food moves through the digestive tract, the intestinal villas cannot absorb nutrients in full and often absorb extra moisture from the stool. It causes stool to harden and cause constipation. However, in people who have a strict gluten-free diet, those who have celiac disease may find it difficult to avoid constipation. It is because a gluten-free diet avoids a lot of high-fiber foods. It can reduce fiber intake and the frequency of stool is reduced. Sedentary lifestyle (lazy motion), dehydration, and poor diet can also cause constipation. Celiac disease can interfere with the absorption of nutrients so that it can cause iron deficiency anemia. Symptoms include feeling weak and tired, chest pain, headaches, and dizziness. A study found nearly 15 percent of 34 patients with the Celiac disease had mild to moderate iron deficiency anemia. Another study reported that seven percent of 84 people with iron-deficiency anemia had Celiac disease. After they undergo a gluten-free diet, iron levels increase significantly. Generally people with Celiac disease experience a decrease in energy so they will get tired easily. People with untreated Celiac disease will experience more fatigue than people who are eating a gluten-free diet. A study also found that people with this condition were more likely to experience sleep disorders that could cause fatigue. In addition, untreated Celiac disease can cause damage to the small intestine, so the body lacks vitamins and minerals which can also cause fatigue. Drastic weight loss and the difficulty of maintaining an ideal body weight are the most common early signs of Celiac disease. It is due to disrupted body's ability to absorb nutrients that have the potential to experience malnutrition and weight loss. Physical Examination - Examination always starts in the physical part first and also questions about the self and family health history so that the doctor can draw conclusions from these points first. Blood tests - From a physical examination, the patient also needs to do a blood test. When it was found that there was an increase in the number of substances in the blood, this was then considered an indicator of an immune reaction to gluten. Retrieval of tissue samples - Another term for this method is a biopsy where the doctor will then use an endoscope to be inserted into the patient's intestine so that it can be taken into the intestinal tissue. After the tissue sample is taken, the doctor will take it to the laboratory for examination. Capsule endoscopy - This method of diagnosis should also be needed where patients will be asked to swallow a wireless camera the size of an ordinary capsule. When the camera has entered, it will take a number of pictures of the state of the small intestine. Retrieval of skin tissue samples - The term is a skin biopsy where this method of examination is necessary if the doctor sees that the patient has the potential to develop dermatitis herpetiformis from the symptoms of a rash and itching. DEXA Scanning - This is not always the way to diagnose patients with Celiac disease because only in a few cases the patient is asked to take this diagnostic method. This DEXA scan aims to examine the level of bone density of the patient. To treat celiac disease, doctors will usually advise people to avoid all foods or ingredients that contain gluten by running a gluten-free diet program. It is done to prevent damage to the intestinal wall, as well as symptoms of diarrhea and abdominal pain. Doctors will also recommend a balanced diet where all the nutrients your body needs can be fulfilled. In addition to food, gluten can also be found on drugs, vitamins, and even lipstick. Some natural gluten-free foods that can be consumed are meat and fish, vegetables and fruit, milk and dairy products such as cheese and butter, potatoes, and rice. Some types of flour are gluten-free, such as rice flour, corn flour, soy flour, and potato flour. Breast milk and most baby formula are also free of gluten. To maintain healthy body condition, you need to avoid all foods that contain gluten. Consult with nutritionists to apply the right diet so you can determine what foods are good for the body. A gluten-free diet program can eliminate itchy rashes (dermatitis herpetiformis) from the skin of patients, plus the administration of medicines. In general, doctors will prescribe steroid drugs to relieve inflammation of the small intestine. So, what food can you eat? You can still eat eggs, meat, fish, fruit, and vegetables. In addition, you can also eat foods made with corn flour, spinach, beans, flax, millet, potatoes, rice, sorghum, and soybeans. Many people reveal that within 2 weeks away from foods that contain gluten, the symptoms caused by celiac disease decrease. In addition, you also need to limit the intake of cow's milk and foods made from cow's milk. Some foods labeled 'wheat free' may still contain gluten. Gluten can be found outside of foods such as drugs, vitamins, and lipstick. Therefore, be sure to read the label carefully. To note, if in a food composition there are words "Modified food starch" and "Hydrolyzed vegetable protein", meaning that the food containing gluten. Vaccination. In some cases, celiac disease can cause the spleen to work less effectively so that patients are susceptible to infection. Therefore, patients need additional vaccinations, such as flu vaccine, Haemophilus influenza type B vaccine, meningitis vaccine, and pneumococcal vaccine, to protect patients from infection. Supplement. This therapy is needed to ensure the sufferer gets all the nutrients needed. The supplements needed are calcium, folic acid, iron, vitamin B12, vitamin D, vitamin K, and zinc. Corticosteroids. This drug is needed when intestinal damage is very severe, to relieve symptoms during the healing process of the intestine. After a gluten-free diet and several therapies, patients need to check themselves regularly to ensure that the diet and therapy produce results as expected. An examination usually done through this blood test will determine whether a gluten-free diet needs to be continued or not. If symptoms continue or relapse, an endoscopic examination with biopsy is necessary. After several weeks of undergoing a gluten-free diet, usually the patient's condition has improved, but healing the entire digestive system can take as long as 2 years. Infertility and miscarriage. Lack of calcium and vitamin D can cause interference with the reproductive organs. Lactose intolerance. Patients will be at risk for lactose intolerance because their body lacks the enzyme to digest lactose, which is usually found in dairy products such as cheese, milk, or yogurt. Cancer. People with celiac disease have a greater risk of colon cancer and intestinal lymphoma. Low birth weight baby. This risk is higher in pregnant women with uncontrolled celiac disease. Also, read Is Gluten-Free Diet Healthy?